The Forest Abstractions Quilt is a foundation paper-pieced pattern comprised of six different blocks. Finished quilt measures 48" x 60". 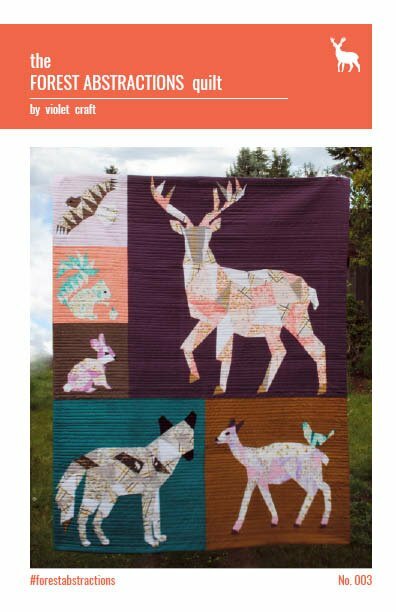 If you are new to paper piecing or just want a thorough explanation of the construction of these blocks, please visit the Forest Abstractions page. In addition to tutorials for each block you will find additional blocks to add to your quilt if desired.